I am very pleased to announce that bus service for schools arrivals and departures in San Lorenzo Valley has been fully restored. 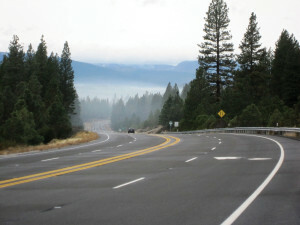 The five “school trip” routes, which allow students to use public transportation to the three-school campuses in Felton, were proposed to be eliminated along Highway 9. All the routes have been fully restored, thanks to dedicated work of Christopher Schiermeyer, the school district Assistant Superintendent of Business Services, and Metro’s Barrow Emerson. In Boulder Creek, construction is underway for a curb, gutter, sidewalk, retaining wall, and drainage improvements near Boulder Creek Elementary School. A 300-foot retaining wall four feet high is being built directly along the school frontage on Laurel Street between Lomond Street and Harmon Street. In addition, a short walkway on the east side of Laurel Street at the intersection of Lomond Street is being built in order to provide a connection to an existing railroad tie and gravel staircase that was constructed by volunteers. A walkway is also being constructed on Harmon Street from Laurel Street to Oak Street. 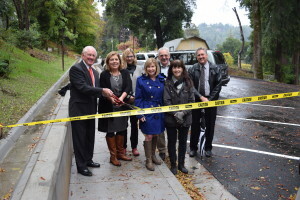 The improvements are funded with a grant from the Federal Safe Routes to School program. A construction bid came in earlier this summer higher than expected, which meant the work was likely to be delayed another school year. 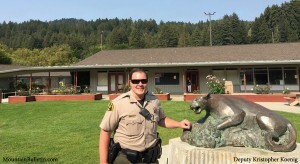 Public Works staff scrambled to fill the gap in funding so that the project could still get underway this summer, although that meant construction was not finished by the start of the school year, as planned. However, I am very pleased that this long awaited project is underway and very appreciative of the effort by Public Works. 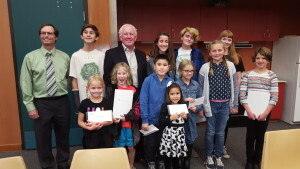 An excited crowd of parents and children turned out at the San Lorenzo Valley School Board meeting on Wednesday, October 19th to hear the announcement of the winners of the Second Annual Art Contest sponsored by the Monterey Bay Air Resources District and Valley Women’s Club. The artwork of all the winners was on display along with their winning ribbons. The creativity and talent of the children was amazing! The Art Contest provided San Lorenzo Valley children the chance to be “creative” while helping bring awareness to the San Lorenzo Valley air quality issues created largely by wood burning smoke from heating during the winter. The art contest is an idea that was born from citizen input which was solicited and organized by Supervisor Bruce McPherson to help solve the critical air quality issues our community faces. “The air quality issue in San Lorenzo Valley can be addressed – and solved – by our local community. That solution will require an educational process and having our creative students show us how to do that through their artwork will be an important part of our success,” McPherson said. School District Superintendent Dr. Laurie Bruton, Supervisor Bruce McPherson, and David Frisbey, Planning and Air Monitoring Manager for the Monterey Bay Air Resources District presented the awards to the students in front of the School Board. The Grand Prize winner was Sarah Jane Murphy, 9th Grade at SLV High School. The winning artwork will be displayed in the near future at the County Building, 701 Ocean Street, Santa Cruz. The message of this wonderful artwork is a reminder to all residents that wood burning stoves contribute to serious health and air pollution issues in the San Lorenzo Valley. This is especially severe on our upcoming winter days when the San Lorenzo Valley experiences low clouds and low winds creating an “inversion” that traps smoke in our air. During these days residents are strongly encouraged to “spare the air” and avoid wood stoves and utilize other sources of clean heat. 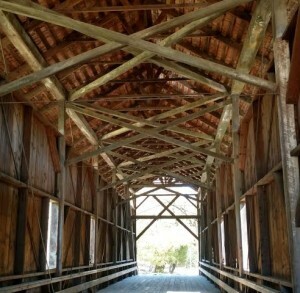 The Felton Covered Bridge has been beautifully restored with a new roof. The next step is the celebration, which will take place on December 17 on the bridge at Felton Covered Bridge Park. Many thanks to those who contributed to the completion of the roof — the late Bill Burton of Ben Lomond, John MacDonald, Judy Anderson, Bill Holl, and Lud McCrary. Thank you to Valoree Mills for the photo. I would like to thank Governor Jerry Brown and leaders in the California State Legislature for reaching agreement on protections from the impacts of climate change. The $900 million cap-and-trade revenue spending plan, which includes $5 million to expand California’s black carbon wood smoke programs, is an investment in our future. The wood smoke program in particular will help residents of Santa Cruz County with improved air quality during winter months and represents a substantial additional investment in a program with proven effectiveness.